Bank Square Books presents an open house book signing with local author Robin Cannon for her new book The Vanity of Robbers. This event is free and open to the public. Robin Cannon received her B.A. and M.S. degrees from Fordham University, New York City, and her Sixth Year Degree in Education Administration from Southern CT State University, New Haven, CT. She has been a school teacher for 33 years. Robin lives with her husband, Bob, daughters, Haley and Molly, and son, Colin. Three previous books written by the author are Tilly Fig, Rye Hill, and Fireflies at Nightfall. ""As the three watched Miranda slip, once again, into a debilitating cloudiness, they decided to make their move...the pill had rendered her perfectly compliant."" 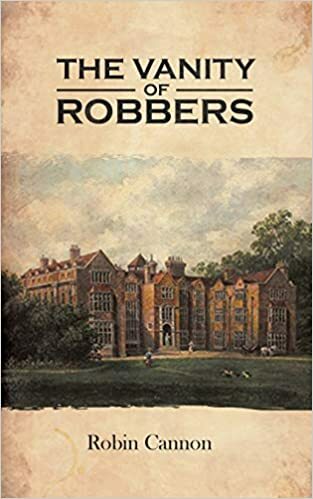 -The Vanity of Robbers Miranda Grimes is a wealthy heiress and the head of a powerful enterprise.